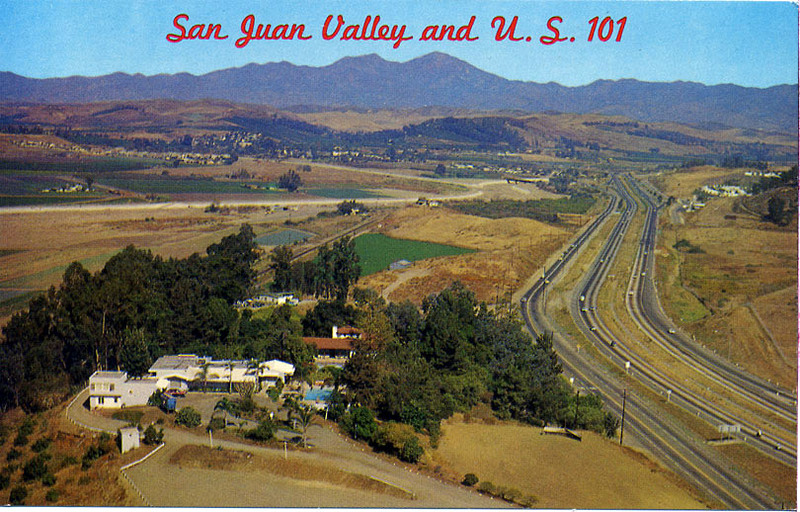 The home of Jose Rosan tops the hilltop at the bottom of this 1960 postcard view of Capistrano Valley. along, and the situation may revert to what you see here. Not that I would ever wish such a thing. No.